• The Barcelona World Race unveiled its new format to the sailing community today, a format which opens up horizons for the expansion of the IMOCA fleet, the most active ocean racing class. • Considered one of the most important yacht races in the world, this edition has some exciting new ingredients: two legs, Barcelona-Sydney-Barcelona and an option to substitute the co-skipper. • The fourth edition of the Barcelona World Race has already received an enthusiastic response from skippers from all over the world, as well as the international sailing community. Barcelona, 13th December 2017. The countdown to the Barcelona World Race 2018/19 kicked off this Wednesday with a presentation of the regatta for the international sailing community at the Fundació Navegació Oceànica Barcelona (FNOB) headquarters in the Catalan capital. The fourth edition of the double-handed (two crew) round the world challenge is packed with new features, positioning this race as a pillar of the IMOCA World Championship calendar, alongside the Vendeé Globe. On the 12th of January 2019, the start will be given to this brand-new edition of the two-crew, round the world regatta, where, for the first time the IMOCA 60 boats will be making an obligatory stopover in Sydney, Australia. This international move is a significant step for the regatta and the class globally. For the fourth edition of the regatta the FNOB will also have a brand-new headquarters and regatta control centre in the city of Barcelona. It will be situated in the Sea Experience space, next to the Maremagnum shopping centre, which will bring the competition closer to the public, who will also be able to visit the facilities. The upcoming edition of the round the world challenge has already been given an enthusiastic response from international top flight offshore sailors with 16 teams adding the event to their racing schedule, 11 of which already have an IMOCA 60. The regatta has received interest from 26 international sailors who have contacted the Race Management team for information. “For us it would be a success to have between 10 and 11 boats on the starting line of the next edition of the regatta”, said Xosé-Carlos Fernández, the CEO of the FNOB. opened the presentation by highlighting the importance of the Barcelona World Race for the sport of transoceanic racing globally and in particular for the city of Barcelona, where the regatta has become part of the city’s identity. The new relationship with Sydney will take Barcelona even further: “Until now we haven’t had an extra visibility platform for sponsors, but now we can offer that with the Sydney stopover. The city is a reference point which will make the regatta even more attractive to sponsors”. The CEO of the FNOB placed special emphasis on the fact the Barcelona World Race brings together and expands on the core working values of the FNOB – sport, education & training, science and business & industry. It’s along these lines that transoceanic sailing has an immense potential to positively impact on the social fabric surrounding it. Jacques Caraës, Race Director Barcelona World Race, outlined the new format for the round the world regatta, which will set off on the 12th of January 2019, Racing across two legs. 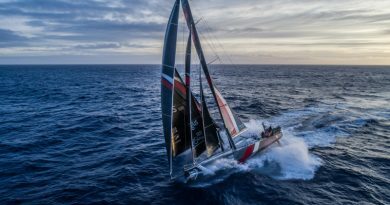 The first leg, Barcelona to Sydney, some 13,500 nautical miles in length, is set to finish at Sydney towards the end of February. The second leg, 12,500 nautical miles in length, starts at Sydney on the 9th of March 2019 and should finish at Barcelona in mid-April. Julia Casanueva, President of the Spanish sailing federation (RFEV) emphasised the importance of the event in Spain and expressed her full support for the round the world regatta. “The Barcelona World Race offers our ocean sailors an incredible opportunity to join the international transoceanic sailing circuit. It is, without doubt, a unique platform, not only for our own athletes, but for boat owners, team captains and other professionals working in the world of sailing, who are also offered an opportunity to develop their careers through this event”. Julia Casanueva also expressed her support for the FNOB’s role in creating a new model for sailing which brings the sport and society together, with huge benefits for both: “With the educational programmes and its industry programmes, the Barcelona World Race is making our sport more accessible for sponsors. This organisational model, which has been built over the past ten years by the FNOB has transformed sailing into a useful tool for education and training and business activities, whilst remaining a top-flight, highly-technical sport”. Xavier Torres, president of the Catalan sailing federation (FCV): “We stand beside the FNOB and the regatta. 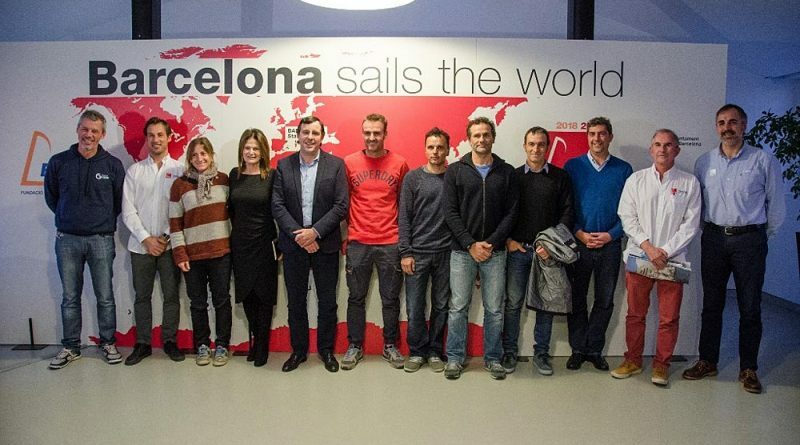 For us the Barcelona World Race is the access route to offshore sailing for Catalan sailors. It’s a great opportunity for them. This format is more attractive and it’s no surprise that 16 teams have already pre-registered. 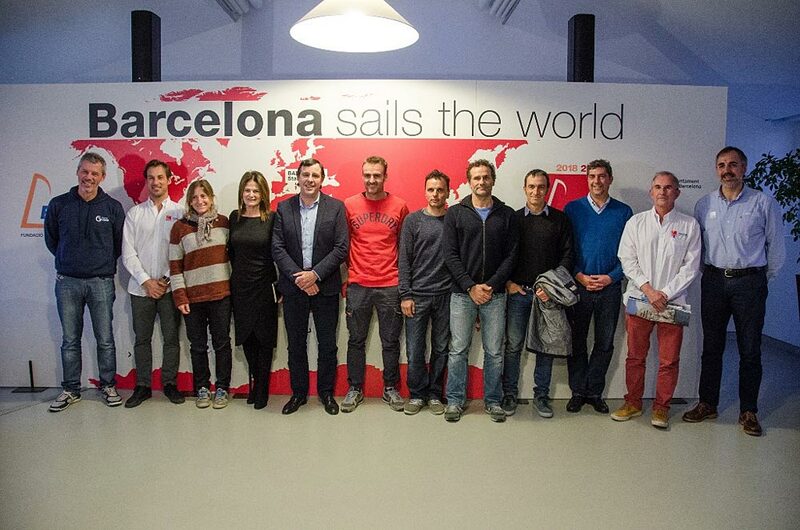 We are also really proud of the fact that Barcelona is being promoted within the world of sailing”. Antoine Mermod, the IMOCA class president spoke of the magnificent evolution of the Barcelona World Race since its first edition and also outlined how the regatta had earned its position as one of the pillars of the IMOCA Class World Championships: “We now have two star events: the Vendée Globe, a solo race, and the Barcelona World Race with two crew; that means a round the world regatta every two years, a formula which has worked very well and has received a great response from sailors and sponsors. With the new Barcelona World Race format, that reputation will be consolidated further. The work of the FNOB over the past ten years has been extraordinary and there’s no doubt that the fourth edition of the Barcelona World Race will be even more of a success”. Marcus Hutchinson, well-known for his successful career in race and team management, highlighted the importance of the Barcelona World Race for the career development of young sailing talent and as a platform for the creation of sponsorship opportunities: “This format change, with two legs, is a very important move forward in the internationalisation of the IMOCA Class”. Barcelona skipper Didac Costa closed the presentation today by confirming his interest in taking part in the fourth edition, which will be his third time racing round the world, following the Barcelona World Race 2014/15 and the Vendée Globe 2016: “I’m really supportive of this new format. For me, being from Barcelona, this regatta is very special and has been significant in my career”. The Barcelona World Race is a double-handed (two crew – skipper and co-skipper) round the world regatta, starting and finishing in Barcelona, with two legs: Barcelona – Sydney – Barcelona. The event is a highlight in the Barcelona sporting and cultural calendar, where the sea, sailing, sport the spirit of Barcelona and its citizens come together in a grand celebration. The regatta turned 10 years old this November 2017 and notching up three editions so far, it has become a cornerstone event in the worldwide transoceanic yacht racing calendar. This is a sporting challenge, a transoceanic adventure which pushes human strength and endurance to the limit. The yachts race round the world on a route some of 26,000 nautical miles (48,152 km) in length. Created and organised by the FNOB, the competition is part of the IMOCA World Championship and is classified as an ISAF Major Event. The Barcelona World Race has also developed a highly-successful cross-sectional model; bringing sport, education, science and industry together, generating not only economic wealth, but also intellectual, scientific and environmental rewards. The first edition was held in 2007/08; the second in 2010/11 and the third in 2014/15. Until now the regatta was non-stop, making the brand-new stopover in Sydney an exciting new racing feature. The Fundació Navegació Oceànica Barcelona (FNOB) is Barcelona’s own transoceanic sailing foundation, a public institution launched in 2005. It was set up to develop top-flight projects built along four key strategic strands: Sport, Education & Training, Science and Business & Industry, in collaboration with Barcelona’s universities, institutions and the business sector. The foundation, alongside Barcelona City Council, Fira Barcelona, the Port of Barcelona and the Barcelona Chamber of Commerce, has organised a number of transoceanic regattas, with the Barcelona World Race taking centre stage. 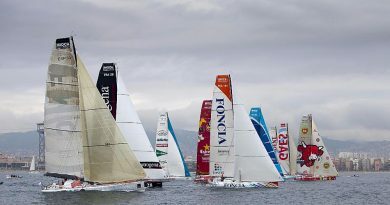 The two-crew race, which is now into its fourth edition, was first held in 2007 and is now a pillar among the world’s great sailing competitions alongside the Vendée Globe, and part of the IMOCA OCEAN MASTERS World Championships. Through the FNOB, the Barcelona World Race collaborates with local and international scientific institutions to provide invaluable data to the scientific community, collected during the regatta using specialist instruments, especially in some of the remotest corners of the planet.La Barcelona World Race es una regata de vuelta al mundo a vela a dos (con dos tripulantes por barco: patrón y copatrón) con salida y llegada en Barcelona en dos etapas: Barcelona – Sídney – Barcelona. Además, es un evento de ciudad que sintoniza los valores del mar, la navegación y el deporte con el espíritu de Barcelona y sus ciudadanos. 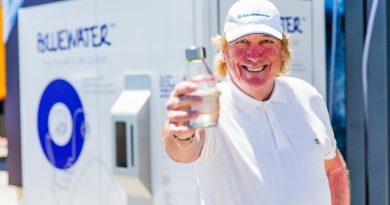 Este año la regata ha cumplido 10 años, convirtiéndose en uno de los principales referentes de la navegación oceánica en el mundo. Se trata de un reto deportivo y una aventura oceánica que pone a prueba los límites humanos: los barcos de la regata recorren alrededor de 25.000 millas náuticas teóricas, en una navegación alrededor del globo. Creada y organizada por la FNOB, forma parte del Campeonato del Mundo de la clase IMOCA, con coeficiente 8, y tiene la categoría ISAF Major Event. La Barcelona World Race ha desarrollado además un modelo propio como regata transversal que proyecta el deporte hacia la educación, la ciencia y la industria, generando riqueza en actividad económica y en valores intelectuales, científicos y medioambientales. La primera edición se celebró en el año 2007/08, la segunda en 2010/11 y la tercera en 2014/15. Hasta ahora los skippers (regatistas) participantes en la Barcelona World Race siempre habían dado la vuelta al mundo sin escalas. La Fundació Navegació Oceànica Barcelona (FNOB) es una institución pública creada en 2005 con el objetivo de desarrollar, en el territorio y a través de la vela oceánica, proyectos de valor entorno a sus cuatro ejes estratégicos: el Deporte, la Formación, la Ciencia y la Empresa/Industria, contando para ello con la implicación y colaboración del tejido universitario, institucional y empresarial de Barcelona. La entidad -constituida por el Ajuntament de Barcelona, Fira de Barcelona, Port de Barcelona y la Cambra de Comerç de Barcelona- ha organizado varias regatas oceánicas, entre las que destaca la Barcelona World Race, una vuelta al mundo a dos que, con tres ediciones a sus espaldas, la primera de ellas en 2007, se ha convertido en uno de los pilares, junto con la Vendée Globe, del Campeonato del Mundo IMOCA OCEAN MASTERS. A través de la FNOB, la Barcelona World Race colabora con instituciones científicas locales e internacionales para poner a disposición de la comunidad científica los datos obtenidos en el transcurso de la regata en su paso por zonas especialmente sensibles en los océanos.